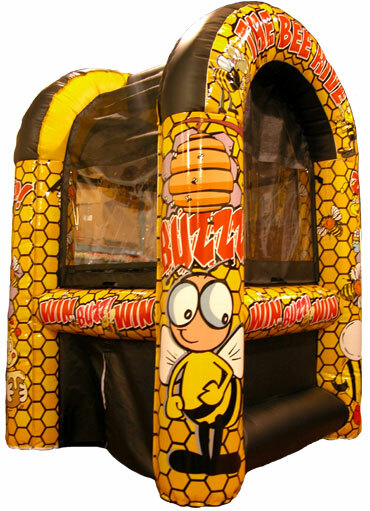 The perfect addition to any carnival or play centre! or play just for fun! interior light, 3 bee nets & poles. Easy and quick set up. The blower inflates the unit and blows the bees (balls) up inside the game. Three sides of the game have a slot where the pole with the bee net is inserted. Catch the most bees (balls) and you win! 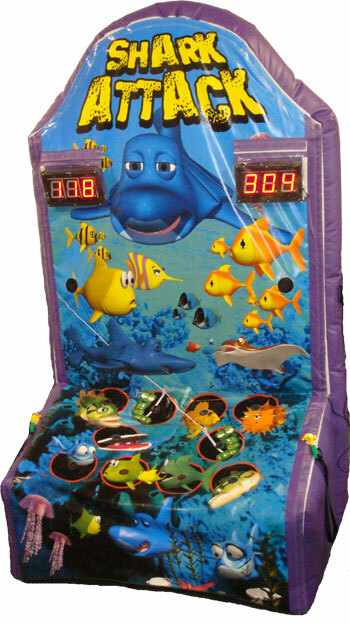 This inflatable is an updated version of the popular carnival game and a variation of our popular Monster Bash! Play alone or race against your friends to earn the top score! 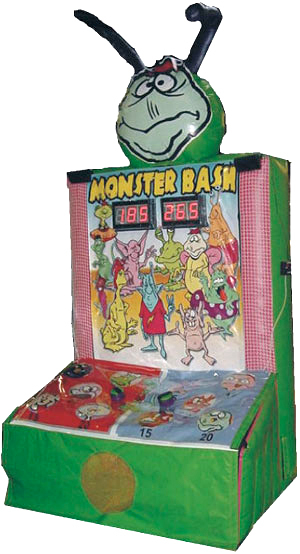 The Monster Bash and Monster Bash City includes sound effects and colourful graphics. Play alone or race against your friends to Bash the Monsters and earn the top score!